Two photographs documenting a life of maintenance behind the orange curtain. Between wanting and deserving, civility enforces itself. Its coerciveness is easy to overlook in a moment of planetary catastrophes. But when distinctions between conflict, belonging, and co-existence (on the one hand,) and war, economy, and politics (on the other hand) begin to disappear, civility becomes a mechanism for maintaining – preserving – things as they are, or should be. Civility coerces by formalizing the rules of the game, translating antagonism into smalltalk, telling us that where violence isn’t written on the surface of life, it must not exist at all. The suburbs, Ballard says, “dream of violence,” their waking life constituted by strip malls and freeways. You want, you deserve. This is consumerism masquerading as entitlement, the unspoken ground of civility that pushes discomfort to one side; that calls for conformity. Lifestyles like dwellings, prefabricated, mass manufactured, erected on landscapes constituted by historical erasure. Here your feet are firmly planted on the ground (it’s “gravity,” stupid) and everything fake reveals the truth about nature (“naturally white.”) What conflicts does civility manage? What kind of mascara do you wear in a warzone? Civility manages violence – it holds in abeyance conditions of war – by giving you what you want. Those lips. That house. Golf courses in the desert. Photographer Lewis Baltz said that one can never tell if its “megadeath or pantyhose” that’s being manufactured inside those endlessly replicated strip-malls and buildings in industrial parks. Baltz again, in 1992: “Coming from Orange County, I watched the ghastly transformation of this place – the first wave of bulimic capitalism sweeping across the land, next door to me. I sensed that there was something horribly amiss and awry about my own personal environment.” Always this something, this sensing. Even Baltz’s capitalism is bulimic, lacking in some essential way, spectacular displays of consumerist excess, as it stalks across the land, transforming orange groves into parking lots. To love this place – to call this place – the psyche must manage discontent; it must constantly crave the satisfactions promised by orality: consumption, cannibalizing the past, eyes firmly fixed on the generic future perfect. But Orange County is also Santa Ana. It is also Klanaheim. It is also bus stops where hungry mouths chew through their lips in the absence of food or shelter. You consume your wants; your wants consume them. Bus stops manage disorder through civility, as everyone on edge is consigned to the edge of town. The taut, gentrified bourgeoisie of Laguna Beach bathes in resplendent sunlight as addiction and homelessness is swallowed in the shadows just off the PCH, and the canyon, where working women stop to change buses during a 3-hour one-way travel day. Photograph Two is of a teeth whitening office in the heart of a most exclusive beach hamlet where, from what I can tell, almost everyone is already very white. “You deserve” – it speaks to them. Not your teeth deserve to shine, but you. By implication you are your teeth. Maintenance hides signs of its operation and existence. You open those lips you’ve always wanted; you eat and drink and run and spin and fast and eat and drink. Your teeth (impeccable, white, deserving for one in your position). 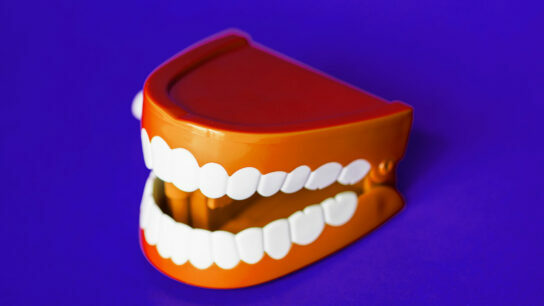 Your teeth (hide all evidence of oral life). Whiteness transcends. Whiteness is permanent. Whiteness shines after swallowing sunlight. The gleaming white marble floors and crease-perfect white chairs are backdrops to the invitation to become more “naturally” white. Nature is hard work. Lips. Mouths. Teeth. The basic apparatus of civility as war in what was once fabled to be the most conservative county in the United States, where whiteness still creates enclaves of survival in desolate oases surrounded by the expelled. Did you know in 2016 they voted for Hillary? There’s an insight there about bipartisan consensus in American life: the rewards of civility go to those who know how to identify class enemies. Any right-minded Republican knew, must have known, Hillary was their candidate: order, continuity, covert wars, and the maintenance of life as it is. As it must (always) be. 12 Diet Cokes and 3 burgers in, you stare into the oral cavity of civility unmasked; violence no longer managed as well as it once was. Soft-spoken. Well-mannered. With those lips. Conditioned by fear, states of war appear normal. Notice how George W Bush has become the nice one. The inarticulate goofball who dragged the world into Wars on Terror. In whose wake territories were consumed by flames. But at least he knew where the line was drawn. At least he knew what civility was supposed to manage. He deserves to shine. While custom car-cleaning services arrive at your home on Tuesday to clean the Tesla in the driveway, and on Thursday the yard crew arrives to mow the lawns or tend the cacti gardens (suburban + coastal + desert), a continuum of bodily maintenance also takes places. You lie down on the AstroTurf to compare plasticity. Who is fooling death by mimicking all the signs of life better – you or the fake grass your children play on?